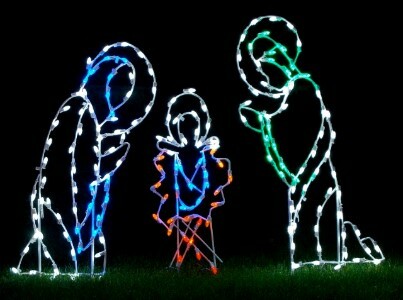 Mary, Joseph and baby Jesus are the perfect addition to your holiday decorating. Three Piece Naivety stands 5' tall. 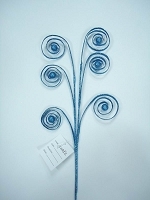 It is made of 3/8" steel frames and 18 gauge wire. The frames are Powder coated in white. Lit with LED C7 Retrofit Bulbs.